A series of talks, performances, panels, screenings and readings in connection with the May 19-June 24th exhibition on view at Savvy Contemporary. With Ulf Aminde, Mohamed Amjahid, Sepake Angiama and Clare Butcher (aneducation), Nacera Belaza, Seloua Luste Boulbina, Joshua Chambers-Letson, Jacques Coursil, Denise Ferreira da Silva, Naika Fouratan, Heidrun Friese, Marque Gilmore, Nadia Yala Kisukidi , Niklas Maak, Lionel Manga, Naeem Mohaiemen, Negros Tou Moria, Peter Morin, Robert Nichols, Kettly Noël, Lerato Shadi, Nahed Samour, Farkhondeh Shahroudi, Safiya Sinclair, Tania Willard, Aaron Wilson and others. Or Gallery collaborates with Savvy Contemporary to present a weekend of invocations in the framework of the project WHOSE LAND HAVE I LIT ON NOW? Contemplations on the Notions of Hostipitality which unfolds through an exhibition, performances, lectures, film screenings and other time-based experiences to deliberate on concepts of hospitality and the triggers of hostility in hospitality. Much is happening today that calls for a reflection on hospitality in Germany, in Europe, and in the world at large. While departing from the national context of Germany, and taking Derrida’s notion of “hostipitality” – that is the presence of hostility in all hospitality and hosting – as a point of commencement, the project is not limited in geography, history, philosophy nor culture to these origins, but rather addresses concepts of hospitality in a global context. By inviting, and being host to, artists, curators, musicians and other thinkers to reflect on the various thought and lived concepts of hospitality, the project creates a space for exchange, mutual respect and learning to pose questions that might instigate further thoughts. In an age of flourishing resentments and antipathy towards all that seems conceptually or physically ‘strange’/ a ‘stranger’, in a time when the historical violence of the guest (as a colonizer) over the host is reiterated and fortified, and in an era that increasingly turns hospitality into a neoliberal commodity, it becomes urgent to reconsider hospitality’s gradients of power. A SAVVY Contemporary project in the framework of 4Cs: From Conflict to Conviviality through Creativity and Culture. In Collaboration with Or Gallery, Vancouver. Co-funded by the Creative Europe programme of the European Union. 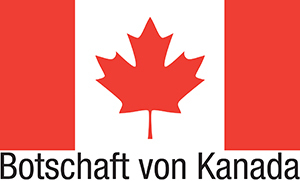 With kind support of the Canadian Embassy in Berlin. 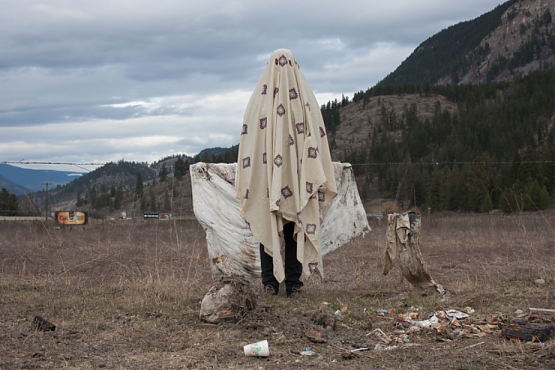 Detail from an ongoing series collaboration with the NEW BC Indian Art and Welfare Society Collective. Photography by Aaron Leon.